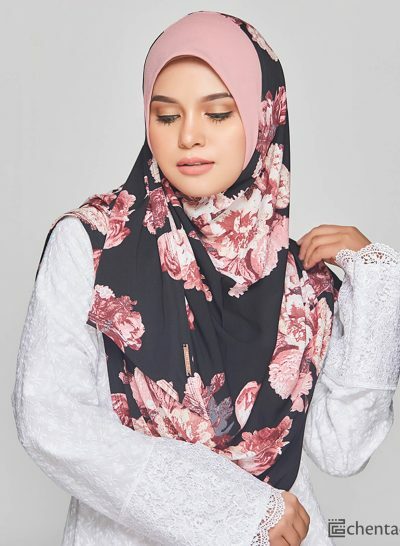 BELLA BLOOM IS TUDUNG SARUNG WITH EXTRA PIECE OF FABRIC ON THE RIGHT SIDE FOR FEMININE TOUCH. CRAFTED FROM HIGH QUALITY KOREAN MOSSCREPE AND HAS SOFT TEXTURE THAT PERFECT FOR ANY EVENT. WE HAVE TWO TYPES; CUSTOM PRINTED DAN MASS PRINTED. CUSTOM PRINTED THE THE CODE BBC WHILE MASS PRINTED WITH THE CODE BBM. 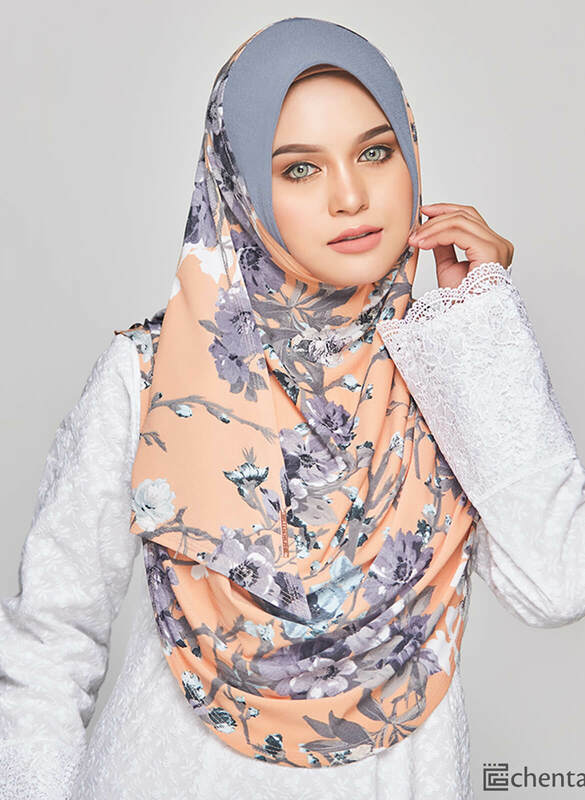 BELLA BLOOM SERIES SPECIAL FOR CHENTA QASEH LEBARAN COLLECTION WHICH FEATURES BEAUTIFUL FLORAL PRINTS FOR THIS LEBARAN! 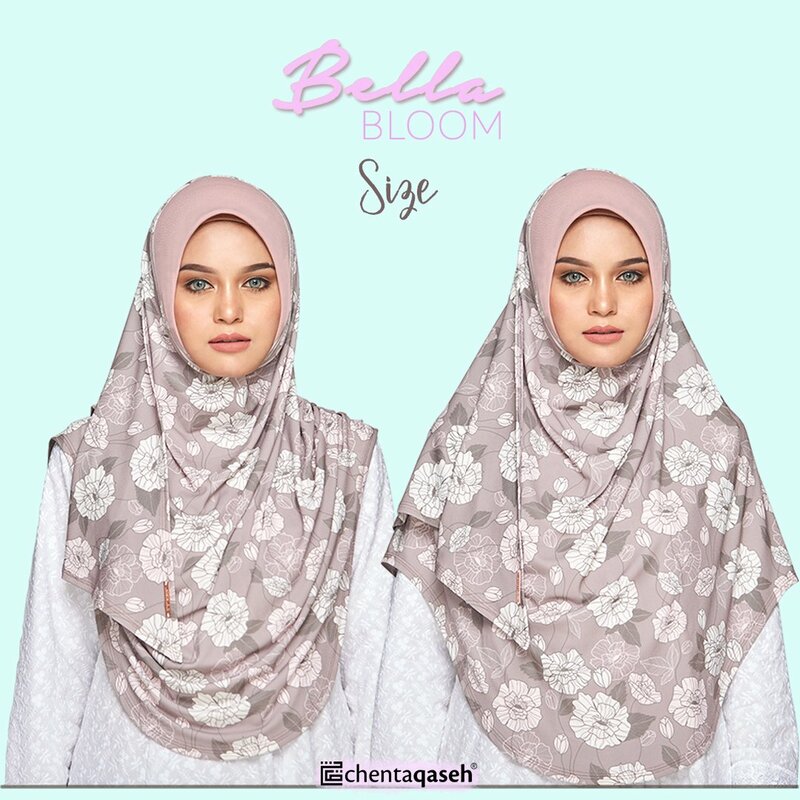 BELLA BLOOM IS FREE SIZE AND ADJUSTABLE ACCORDING TO YOUR PREFERENCE. IT COVERS YOUR CHEST PERFECTLY!